Home Much is My Home Worth? How Can Cindy Help You? 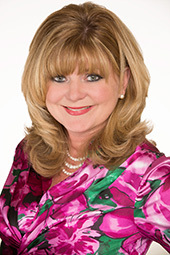 Born and raised in Wilmington, DE, I am now proud to be a REALTOR® at Patterson-Schwartz. I look forward to representing my clients to the BEST of my ability, while keeping them thoroughly educated throughout the process of buying or selling their home, so that they can make the best decisions possible. When choosing to partner with me, missing details in the transaction is not an option. The I's will always be dotted and the T's will always be crossed. In my free time, I love spending time with my husband, Doug, just doing whatever - he makes me laugh all the time. We also have two dogs, Tyson and Stella, and our newest addition, a cat named Cookie. I am also the proud mother of two grown sons. My oldest son, Billy, and his wife, Fidan, were married two years ago and also own a home in North Wilmington and my youngest son, Jon, is currently a senior at Neumann University in the Athletic Training Program and is in a relationship with his girlfriend Lexi. I love to cook and try new recipes for my family and friends. Another favorite pastime is spending time at the beach. To help you get started, we've outlined the key steps to selling and the ways that we can provide assistance in our seller’s guide.